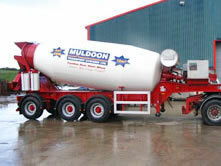 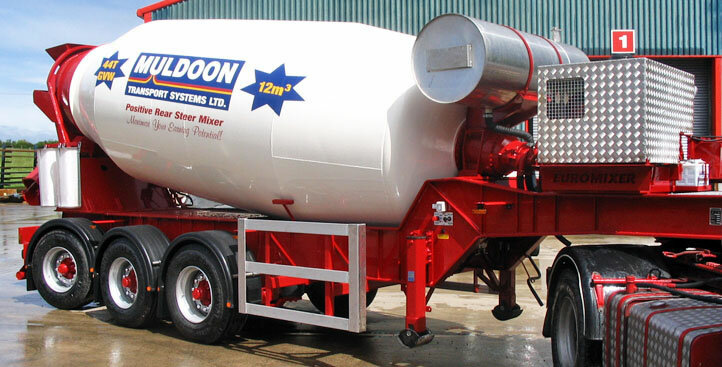 The Muldoon Positive Rear Steer Cement Mixer Trailer is the revolutionary NEW CONCEPT for the transportation of concrete. 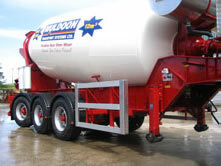 Superior Traction over artics and sliders due to Steer Axle Geometry allows the steer axle to be positioned further towards the rear of the chassis supporting the load at the back and putting more weight on the front. 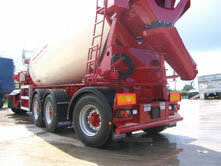 CHASSIS ONLY can be supplied ready for drum and equipment fitment.